Austin, Texas, April 24, 2012— CynergisTek, an authority in security and privacy solutions and services for healthcare organizations, announced today that it has partnered with Davis Wright Tremaine LLP (DWT), a nationally-recognized law firm focusing on health information technology (HIT), to create the HIPAA Audit Readiness and Response Solution Portfolio . The joint offering provides a range of solutions and legal services designed to prepare healthcare organizations for the Office for Civil Rights’ (OCR) HIPAA Audit Program to ensure compliance in this new era of heightened enforcement. Investigation and response support services, for those that are selected for audit or subject to an OCR investigation, are also a key offering in the portfolio. The portfolio will expand to include CMS audit readiness and response solutions related to security measures associated with meaningful use. 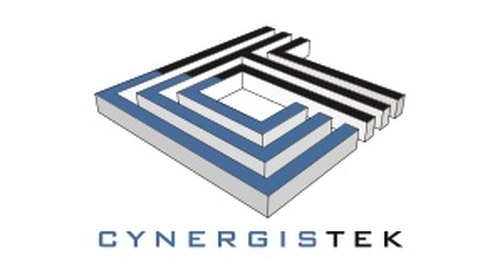 CynergisTek is an authority in healthcare information security and privacy management, regulatory compliance, IT audit and advisory services, business continuity management, security technology selection and implementation, and secure IT infrastructure architecture and design solutions. The firm offers practical, manageable and affordable consulting services for organizations of all sizes and complexity. Using an organized, planned and collaborative approach, CynergisTek applies multidisciplinary expertise to serve as partner and mentor, to enhance the consulting experience and, ultimately, clients’ compliance and business performance. CynergisTek participates in and contributes to HIMSS, AHIMA, HFMA, HCCA, AHIA and other industry bellwether organizations. For more information visit www.cynergistek.com, call 512.402.8550 or email info@cynergistek.com. Davis Wright Tremaine LLP is dedicated to providing excellent legal services, and delivering them in a manner customized to each client’s particular needs and preferences. DWT’s health information technology (HIT) and HIPAA practice group has decades of experience helping clients develop practical privacy and security policies and procedures, plan and implement health information sharing networks and exchanges, and acquire and implement health information technology. For more information visit www.dwt.com or e-mail adamgreene@dwt.com.